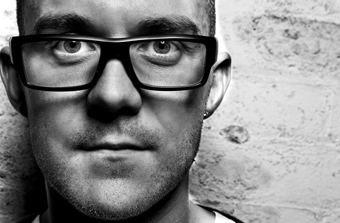 Funkagenda, aka Adam Walder, rose to prominence after being voted ‘Best Breakthrough Artist’ in DJ Magazine’s auspicious 2009 poll. Now, three years later, Birmingham’s biggest dance export has launched his own record label, Funk Farm, with a recent high profile bash at the Ministry Of Sound in London. Originally championed by seminal dance music labels Subliminal, Positiva and Big Love, Funkagenda solidified his producer’s position after signing to Mark Knight’s Toolroom Records. Pegged as ‘one to watch’ by most of the dance music fraternity, Walder’s first big hitter for team Toolroom was a remix of ‘Man With The Red Face’ with label boss Knight, released in 2008. Then, in 2009, the boy from the black country received a Grammy Award nomination alongside Mark Knight, for their production input on the Black Eyed Peas fifth studio album ‘The E.N.D.’ (2009). After the release of his debut mix album the following year (Toolroom Knights – Mixed by Funkagenda), Funkagenda’s portfolio began to read like the who’s who of clubland. But 2011 seems to be heavily focused on Funk Farm, a label conceived in Funkagenda’s original Erdington studio, with ‘Limoncello’ released in Feb and Anil Chawla’s ‘Wzaz’ out earlier this month. And with Godskitchen resident Paul Thomas a spring chicken signing on Funk Farm’s roster, this Birmingham born label could dust down the city’s dance music credentials along the way.